The unconnected death of two refugee women within a month at a refugee camp on the Thai Burma border has triggered fears about the security of women living in the camps. Mae La Refugee Camp officials found the decomposed body of missing elderly refugee woman near the camp on Monday. The dead woman was identified as Daw Gyin Myiang, 78 years old and had been missing for more than two weeks. 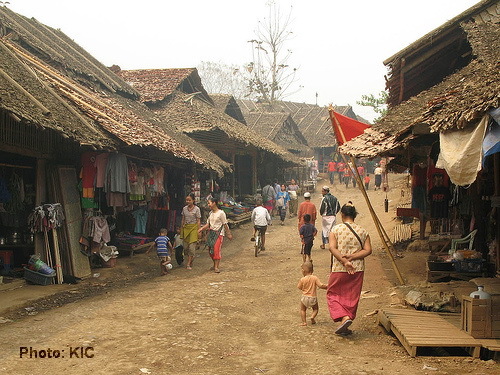 Daw Gyin Myiang was a resident of Section 4B, Zone-C in Mae La camp. According to her family, Daw Gyin Myiang disappeared on September 27 until on October 14 when her body was found. Ko Paka, leader of section 4B, told Karen News. Section 4B leaders reported to camp officials that Daw Kyin Myiang had disappeared and a search was started and ran until she was found on Monday, October 14 when a refugee woman found her body outside the camp. Mae la camp leader Saw Honest spoke to Karen News about the circumstances surrounding Daw Gyin Myiang’s death. On September 25, camp officials found the body of another woman refugee, Naw Sein Hla Aye, aged 37, found dead in a nearby forest close to Mae La’s Zone-C. At the time, Naw Sein Hla Aye’s death was treated with suspicious as the body was bruised and there were visible injuries to the body. Naw Hko Lo, a member of the Karen Women Organization (KWO) at Mae La camp spoke to Karen News about the deaths of the two women. Daw Kyin Myang’s funeral service was held on Monday evening at the Mae la camp cemetery. Daw Gyin Myiang is survived by a daughter and nine grandchildren.